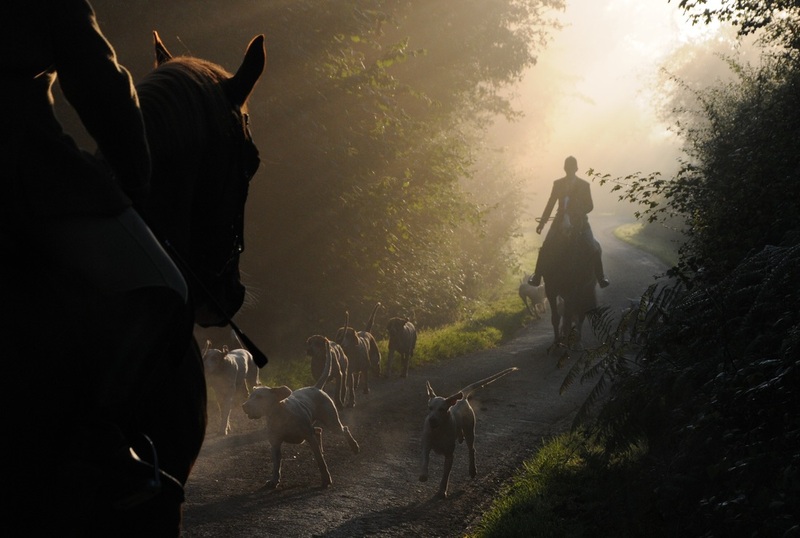 Autumn Hunting traditionally starts at dawn to avoid the heat of the day and is a gentle introduction for young hounds, new hunt staff, horses and followers of the forthcoming season. This is a good time of year to find out if your horse is suited to hunting and to introduce﻿﻿﻿﻿﻿﻿﻿﻿ him/her to hounds. There is no formal meet and the tradition is to dress in rat catcher (tweed jackets). The morning normally c﻿﻿﻿﻿﻿﻿﻿﻿﻿﻿﻿continues for 2 or 3 hours; it is much more sedate than the Main Season and a chance to get to know people and to get your horse fit for hunting. It is the intention of the Masters that the Hunt will meet every Tuesday and every alternative Friday and Saturday during the MAIN season. Whilst every step is taken to ensure these days are adhered to, the Masters and officers of the Hunt cannot be held responsible for any cost or inconvenience resulting from cancellation or alteration to the Meet programme. The Surrey Union Hunt Limited does not hold itself responsible for any accident which may occur to any persons, their horse or property connection with or arising out of the activities of the Hunt. It is a condition of the Surrey Union Hunt Limited that each person who takes part in any hunt shall indemnify the Surrey Union Hunt Limited against any legal action that may arise from any incident. Membership of the COUNTRYSIDE ALLIANCE is MANDATORY for all subscribers. CA Membership provides insurance cover of up to £10 million Public/Product liability; £30,000 Personal Accident Disability and £15,000 Accidental Death.